classic mid rise pull-on jeggings in dark wash You begged for a non-distressed jegging and now we’ve answered! 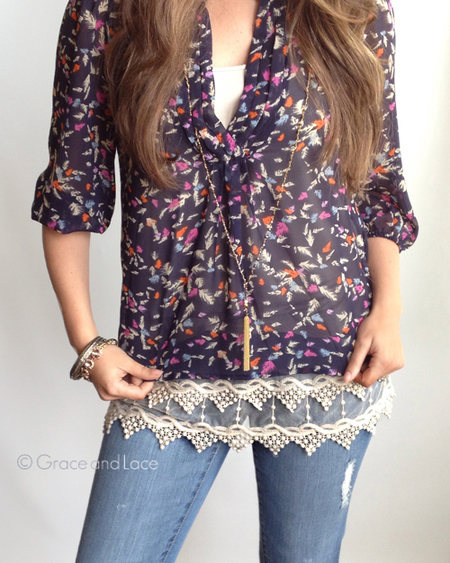 Introducing our Mid Rise Pull-On Jeggings in Dark Wash by Grace & Lace. 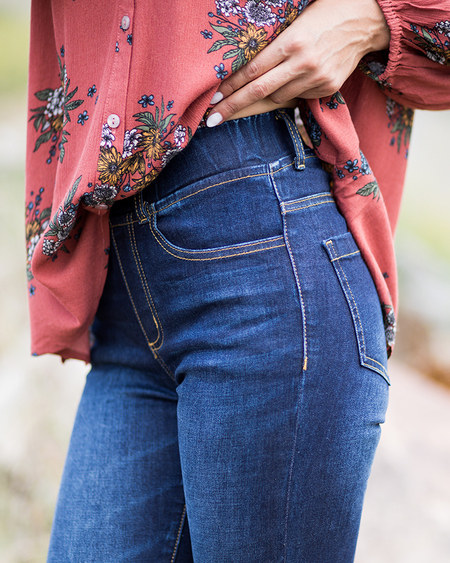 This everyday pull-on-bottom features our signature Super Stretch Denim that you’ve already come to know, trust, and love. 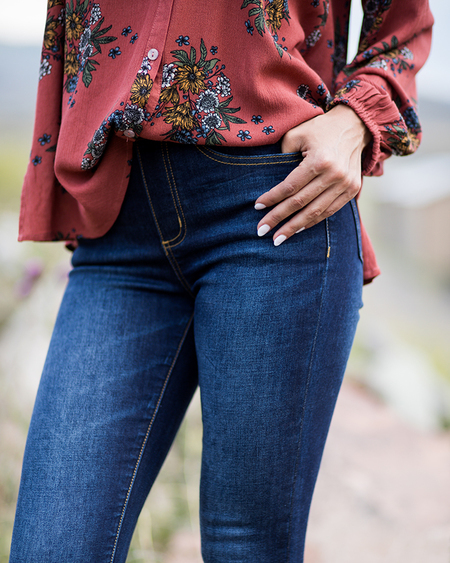 The goal of our design is to create a perfectly stretchy denim that hugs in all the right places and smooths out all the others. 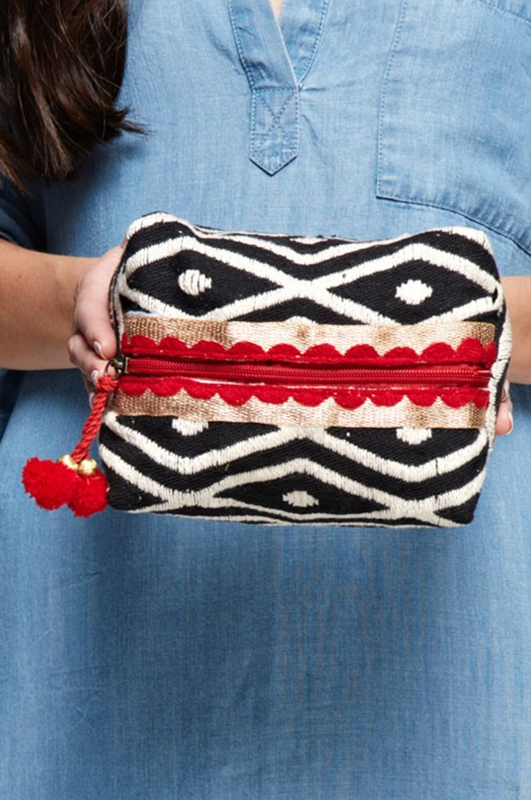 We want you to do a double-take in the mirror when you see how good you look and feel! These jeggings feature functional front and back pockets, a faux fly detail, pull-up loops, and mid-rise waist shaping. You might want to grab a couple pairs because these will sell out super fast!